Michael Zak, the chairman of vertical farming organization GroOperative, is moving his company to a 4,200-square-foot space at Clinton and Bailey avenues. Michael Zak has been searching for ways to make a big impact on inner-city Buffalo youth since he was a teenager. Now the 34-year-old will have his chance. 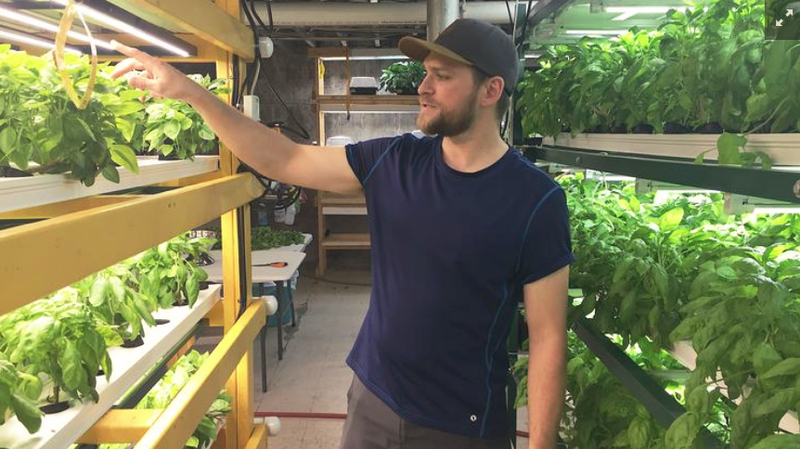 Zak, the chairman of vertical farming organization GroOperative, is moving his company out of the small basement he leases underneath Buffalo Roots in University Heights to a 4,200-square-foot space at Clinton and Bailey avenues. He has room to grow the second-story space out to 20,000 square feet. The move was supported with a $100,000 grant award won during this year’s Ignite Buffalo competition. Zak said he is also launching a $100,000 capital campaign in which people can buy shares of common stock in the company, earning them a small dividend while supporting urban farming in Buffalo. The new home is expected to give GroOperative the scale to be a profitable enterprise while meeting the surging demand for its basil, lettuce and micro-green products. Zak said he will be able to grow more fish – which provide fertilizer for his plants and are also sold to customers – and expand his mission of teaching children about sustainable agriculture. The African Heritage Food Co-Op will lease first floor space in the building, which was last home to Willowbrook Farms and is in a section of the city known for its cluster of food distribution warehouses. GroOperative is built as a farming cooperative, and Zak said the goal is to support more owner-operators working alongside him. He expects to move into the new space by January. Jun 22 Is the Future of Farming Vertical?